Just because a guitar is expensive doesn’t mean it’s good, and just because a guitar is cheap doesn’t mean it’s bad! In fact, some of our favorite instruments in the shop right now are budget-friendly options with tons of professional grade features for every type of player. With all the promotion, advertising, and flim-flam surrounding the guitar industry these days, it’s easy to be fooled by the mainstream guitar industry’s marketing machine. The big companies love to make a big deal out of features that were industry standard just a few years ago. The big guitar makers advertise “handmade” and “special edition” guitars, or newly added features designed to make you empty your wallet. But more often than not, guitars advertised with these buzzwords are no different or better than guitars that are less expensive, made 10 or 20 years ago, or have been modified and customized in some way. 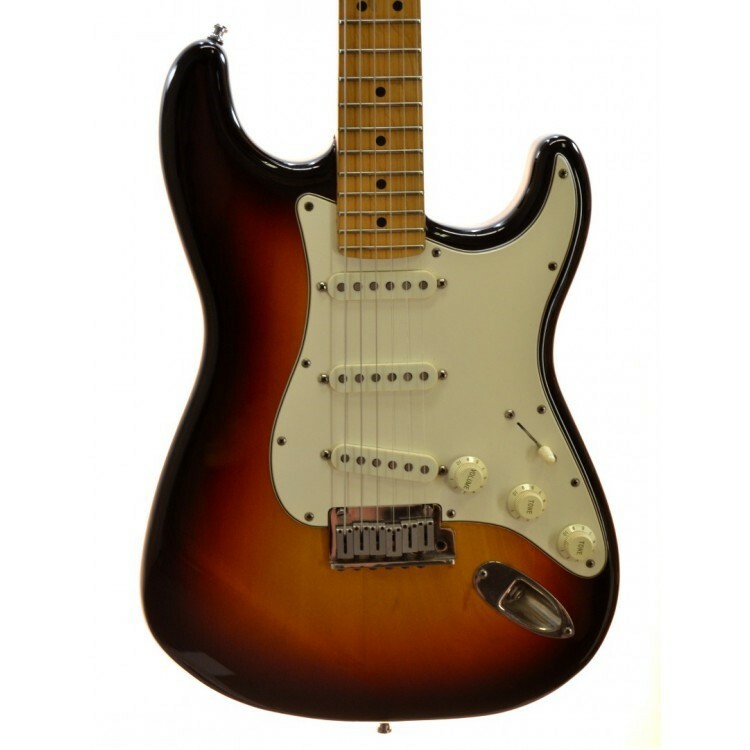 A great way to find a great deal on a high quality guitar is to shop brands that are well-known and well-established, but lack the prestige of the bigger companies like Gibson and Fender. Remember, the big companies spend big bucks on marketing and advertising, and that investment gets passed along to the consumer in the form of higher prices. Worst of all, as the big guitar manufacturers become more and more popular, their production facilities are running at capacity almost all the time, resulting in poor quality control standards, and more guitars with loose knobs, bad neck joints, and lower quality hardware. Look for smaller or less popular brands like Ibanez, G&L, Danelctro, and Washburn, to name a few. Another way to save some dough and still get a great guitar is to look for modified and customized instruments. Guitars that have had aftermarket and custom parts installed or swapped out are lovingly called Partscasters. Partscasters are a particular favorite among tinkerers and DIY luthiers, but many a budding young musician has benefitted from a cheap guitar that has been Frankensteined into a monster. You don’t have to spend a lot of money to get a great guitar. There are smaller or less popular manufacturers out there producing guitars that have tremendous value, used instruments from the 80’s, 90’s, and early 2000’s are a in the low-price sweet spot, and modified and customized instruments have parts and features that are sometimes worth more than the guitar itself. Here’s a few examples from the shop that we think are notable for their high quality and low price. Danelectro is one of the longest-running electric guitar manufacturers in America. 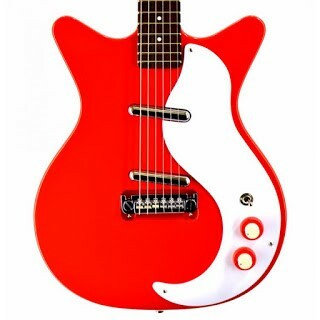 For 70 years, Danelectro has been making cool, funky guitars that have become iconic because of their early use in the surf, rockabilly, garage, and punk scenes. But Dan-O’s have real street cred – Jimmy Page of played a Danelectro in the early years of his career. The Danelectro 59M-NOS is built to be almost identical to the Danelectro models available in 1959. The single coil “lipstick tube” pickups have a sweet, crunchy, twangy tone that is unmistakable. See it on our website. The Ibanez Artist is one of those rare guitars that, although pros have known their value for decades, amateurs and beginners seem to completely ignore. It’s a shame, because the Ibanez Artist is a KILLER axe. If this guitar said ‘Gibson’ or ‘Fender’ on the headstock, it would likely cost twice as much money. The feature set on this guitar is just insane. First off, it’s a set-neck design, similar to the neck design on a Les Paul. The body is rock solid Mahogany, the ultimate tonewood. The top is figured Bubinga. Yes, you read that right. 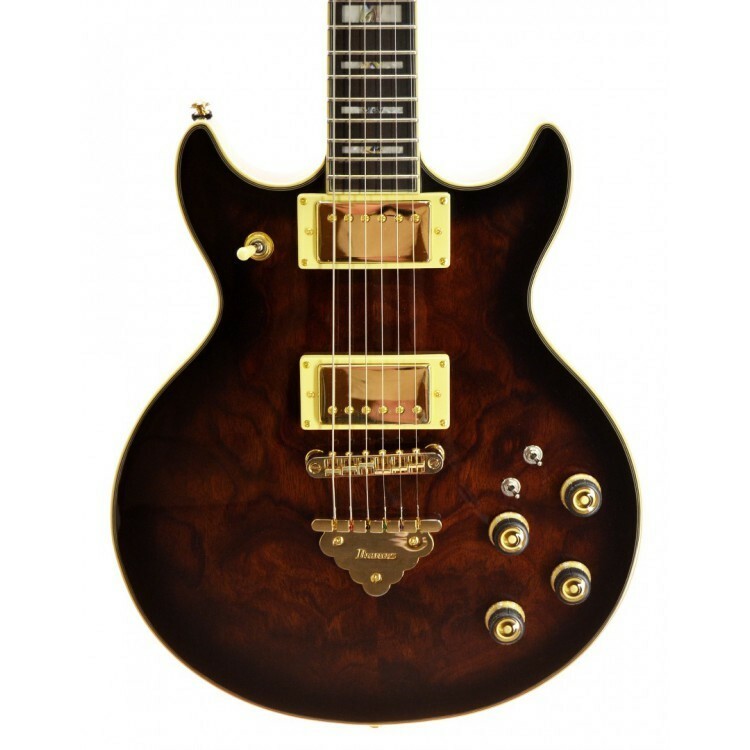 A figured Bubinga top on a guitar under $600. But our favorite feature of this guitar is the pickup switching system. There are two humbucker pickups that are accessible via the normal 3-way switch. But each humbucker itself has 3 distinct modes: series, parallel, and tapped single coil. That means the Ibanez Artist is capable of 15 distinct tones. Yes, you read that right. FIFTEEN different pickup combinations. Need we say more? See it on our website.